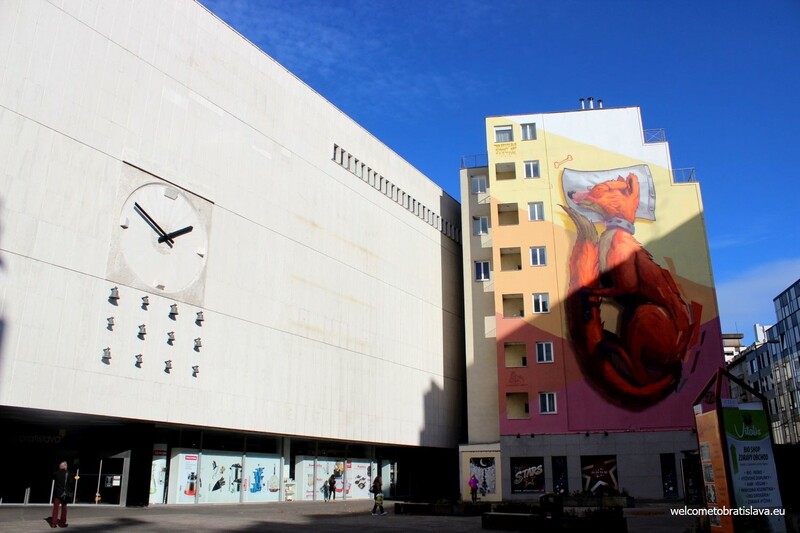 Bratislava has no metro (read on to understand why we write this). Yet, we have some graffiti in the city and some pieces are undoubtedly beautiful. Not talking about so-called “tags” that are blemishing so many buildings, as they are not a result of a creative process, rather an adrenaline sport. But we would like to focus on some original and outstanding pieces, “burners”, probably made by “kings” (acclaimed writers), definitely not by any “toys” (graffiti beginners without skills and style). It all began by young people starting to write their names and nicknames all around in New York in the 1960s. Marking a place with one’s name became a matter of prestige. The person with the most signatures/tags at diverse places was highly recognized and had the respect of other writers. 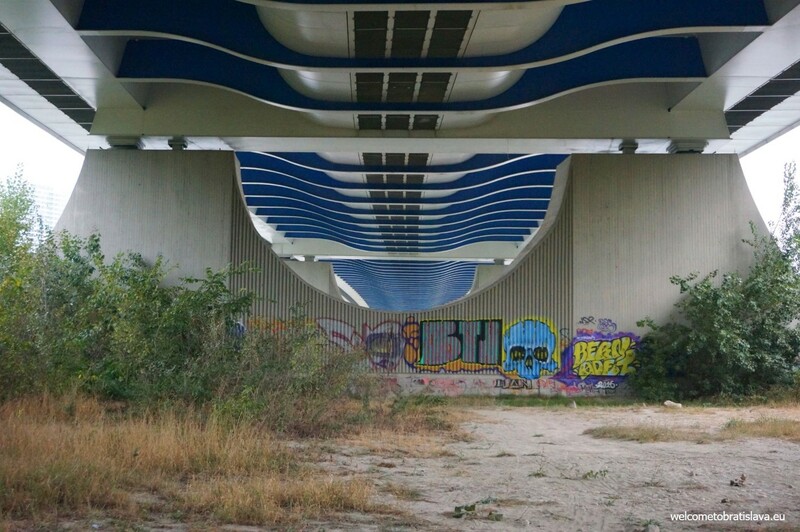 Curious about where the first graffiti paintings in Bratislava appeared? 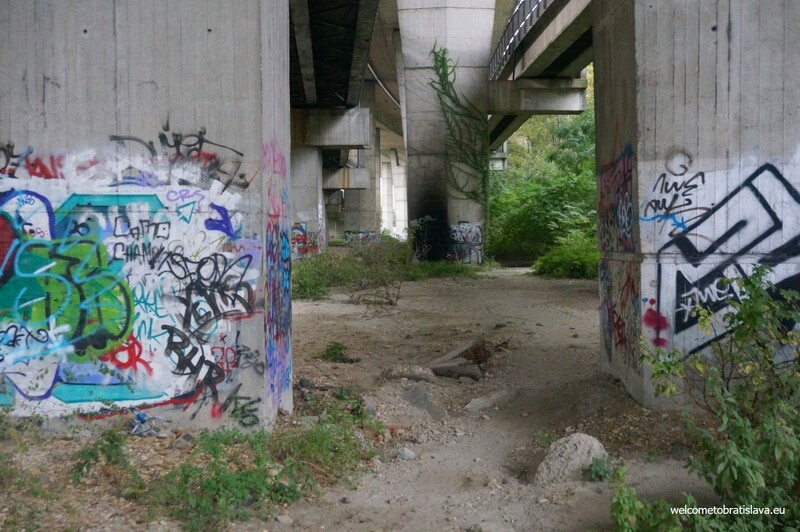 We heard it was under the Lafranconi Bridge around 1995. 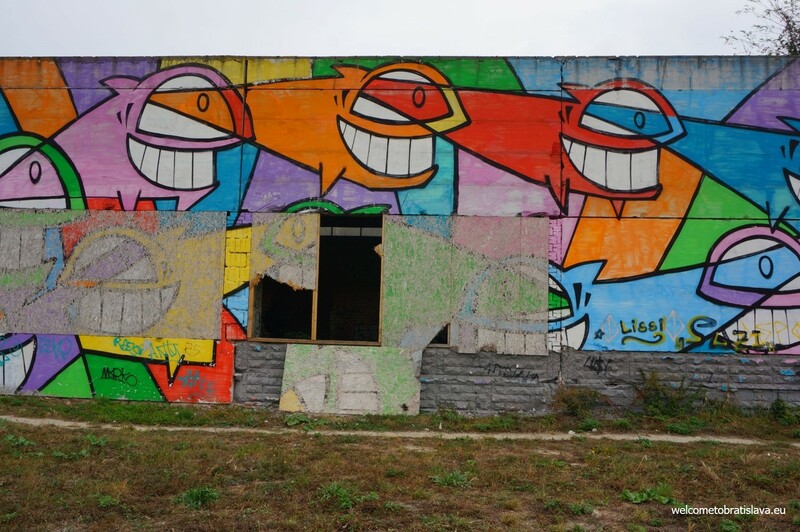 The graffiti were copying the neighboring Czech Republic which became a model for starting Bratislava writers. The peak season when we had the most painted wagons ever is considered to be around the year 2000. And as we have no metro in Bratislava (which is usually the most popular spot for getting graffiti), it was our railway station that was the redress for local writers. 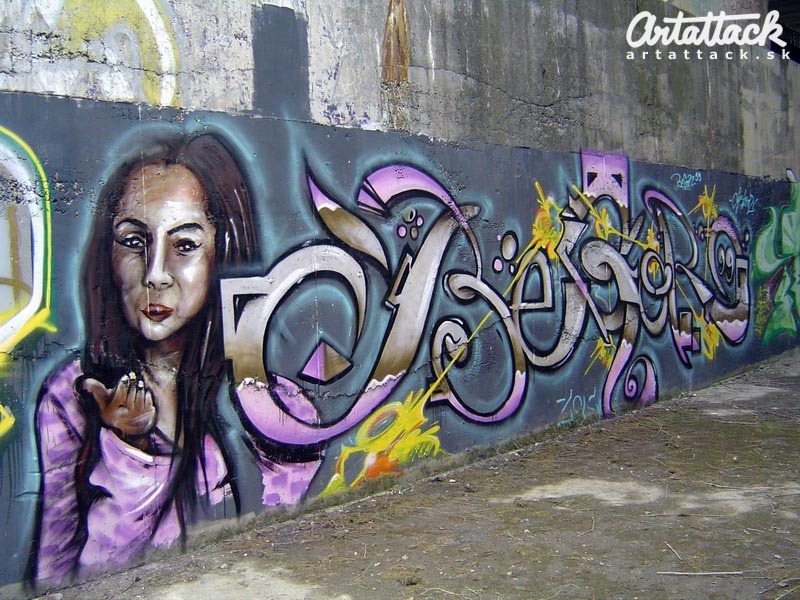 In 2014 the graffiti topic got heavily hyped in media. A year later, an amendment to the Criminal Code came into validation. 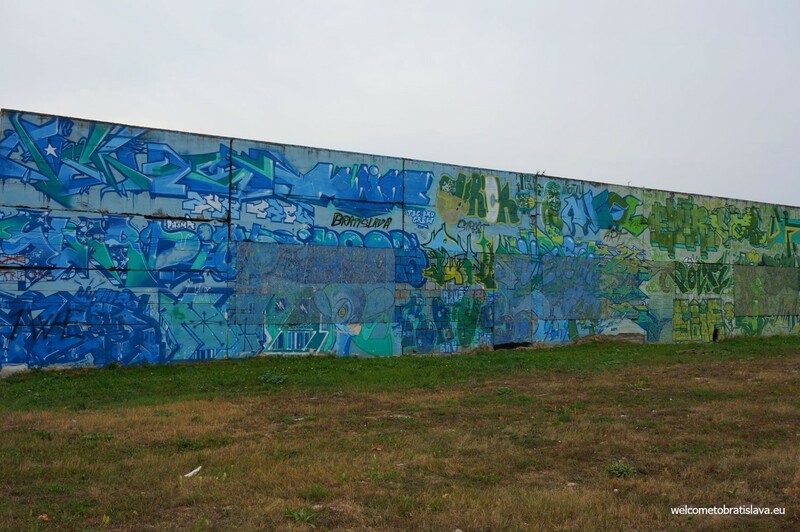 According to it writing graffiti was considered crime and their authors could go to prison, while the criminal age limit was reduced to 14 years. 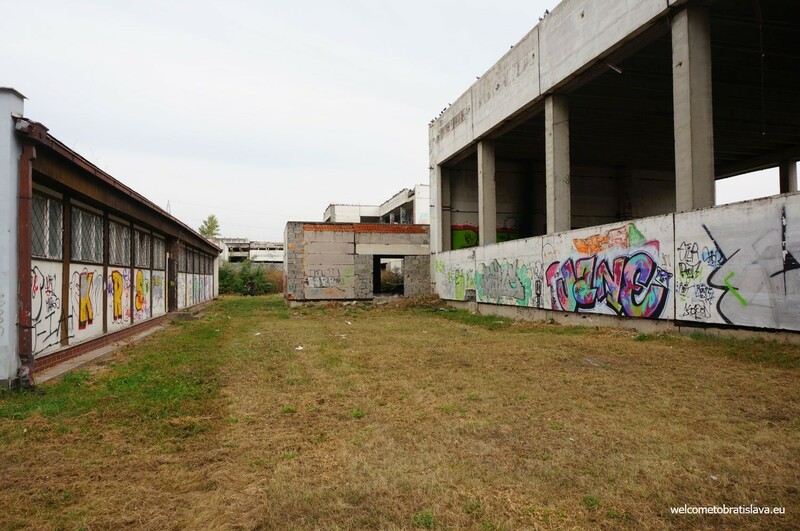 The number of graffiti in the center of Bratislava started to grow when the Rooftop shop opened – selling sprays – which is also the center for the graffiti community to meet. 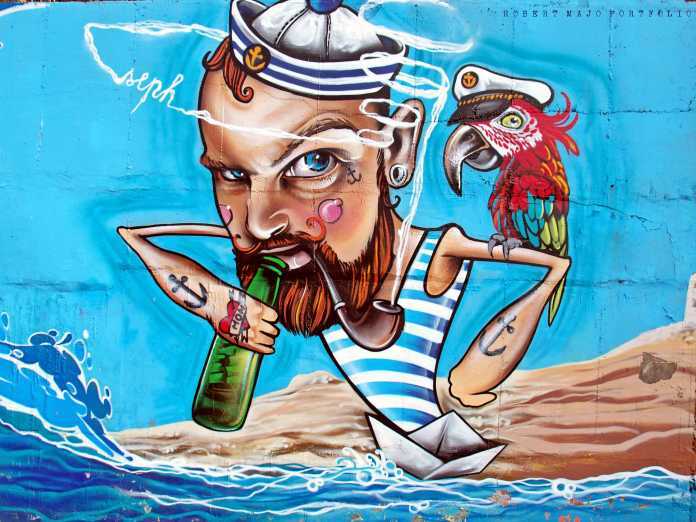 Graffiti is not only about spraying words and pictures on a wall or some vehicle. It is a whole subculture with own language, rules, music, clothing and so on. 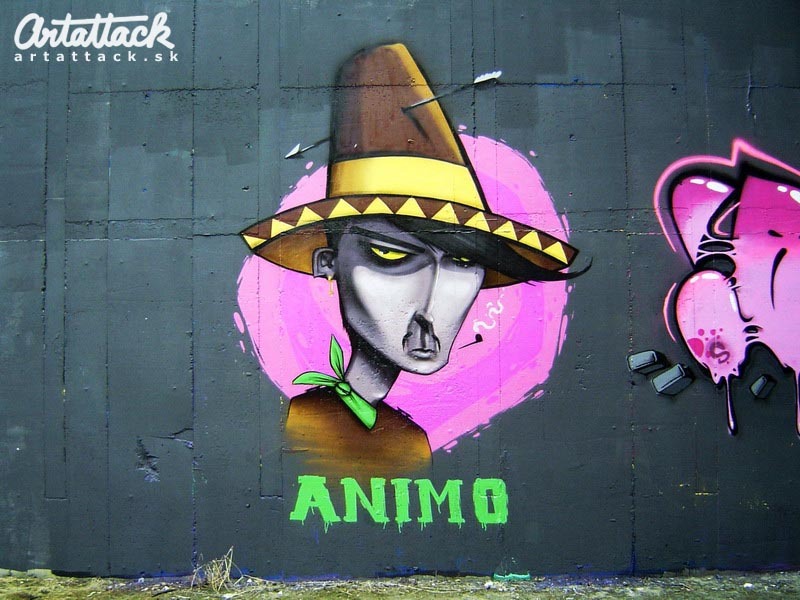 And the main patron, spotter and supporter of graffiti and hip-hop in Slovakia, is ArtAttack. 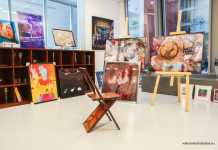 They do almost everything from issuing a magazine to organizing festivals and exhibitions. They have a clothing and music label. 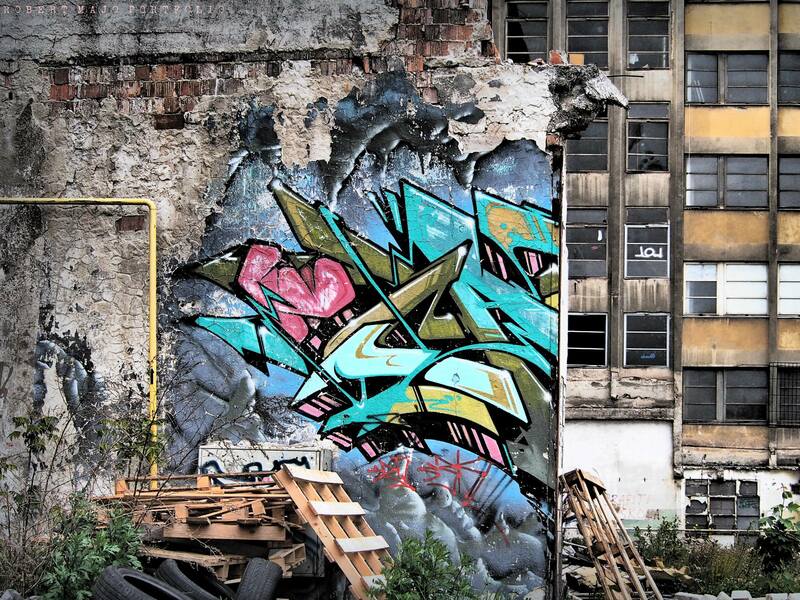 And they compiled a graffiti dictionary that helps us dive into the graffiti language, too. 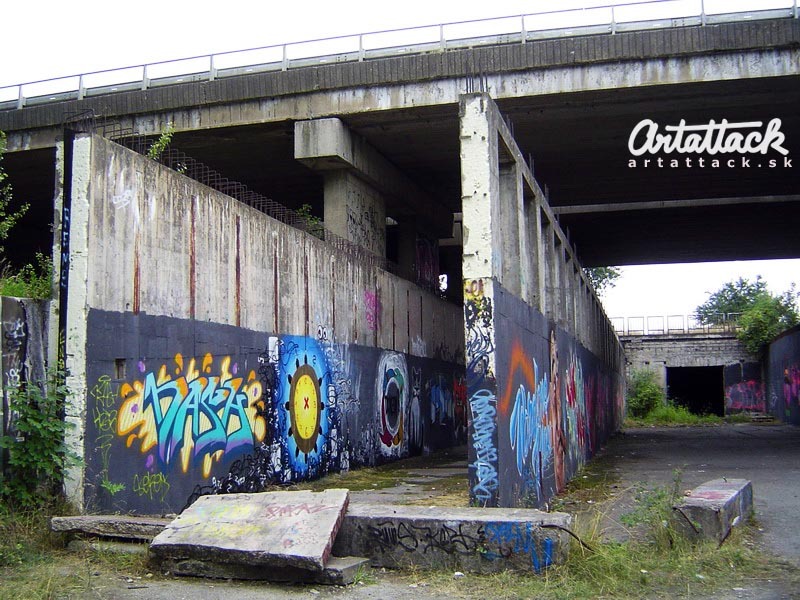 ArtAttack also organized Graffiti Jams in the past where street artists from Slovakia, Czech Republic, Austria and Hungary brightened the greyness of Pražská Street or Petržalka. No doubts there are a million better ways of releasing adrenaline, rather than leaving ugly territorial marks. But graffiti is not only about vandalism and rebellion any more. 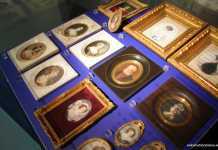 It is also a mean of creative artistic and sometimes even political expression, and starts to be respected as a valid public form of art. 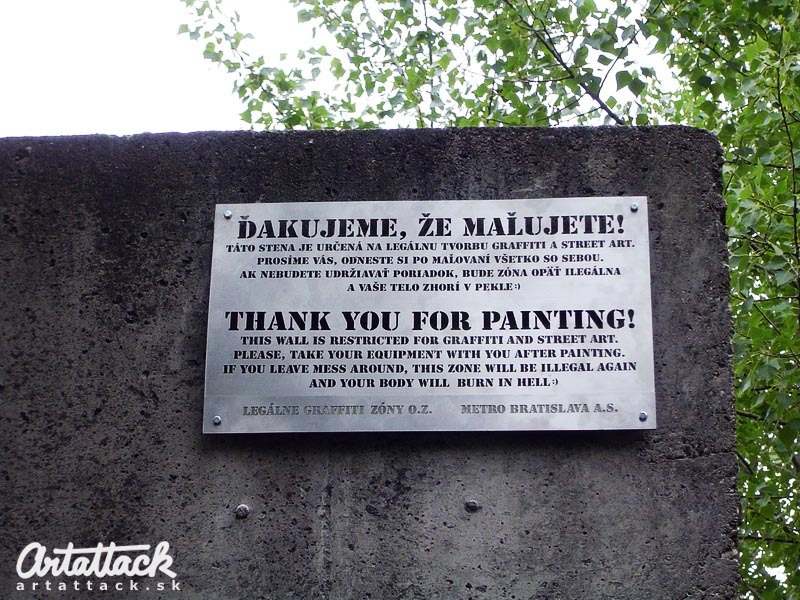 We have some legal zones where writers can paint with impunity, for example Janíkov dvor in Petržalka. 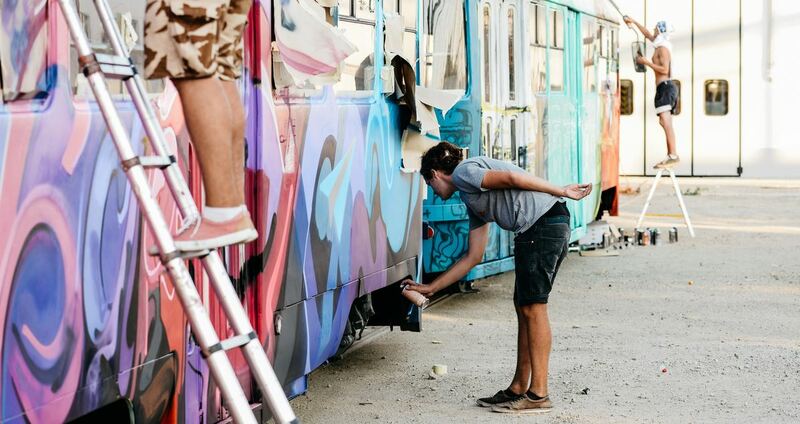 Here you can legally paint graffiti and street art. The interesting thing about this place is that it was initially meant to be a metro depot. The construction plans date back to 1974 but the actual construction began only in 1988. About two years later it was suspended for lack of funds and never restored since. Street art is perceived as the younger brother of graffiti. 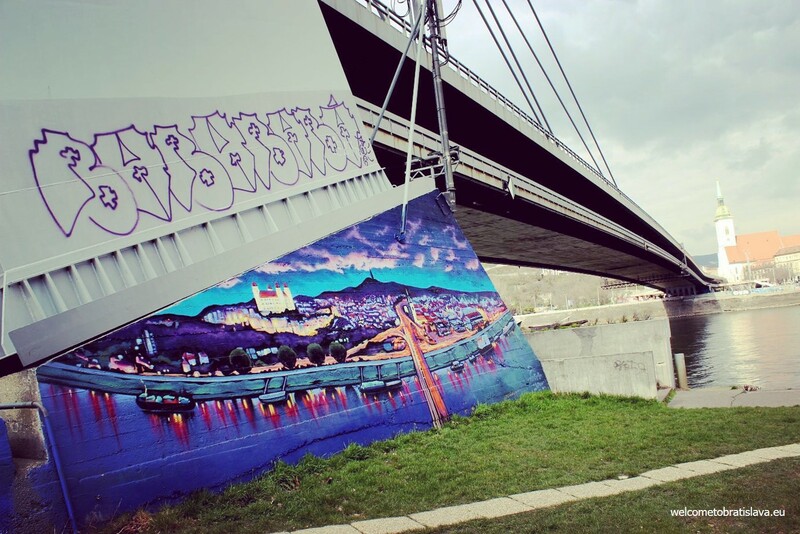 It has a big fan base in our capital, a proof of which is also the fact that Bratislava Street Art Festival is organized here annually (usually in June). 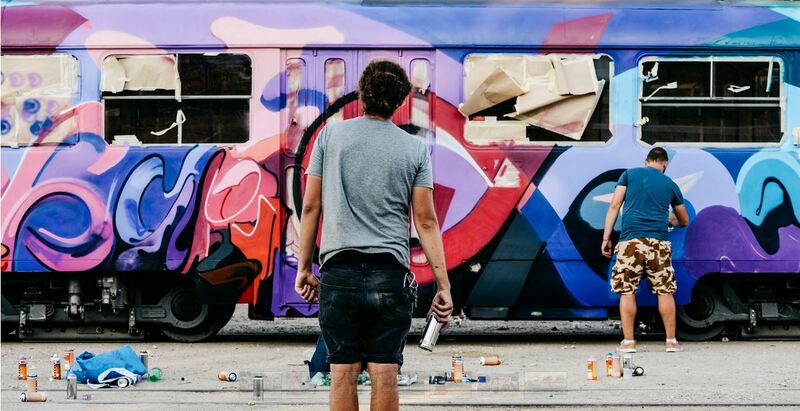 It is a 3 day multi-genre event promoting this specific type of culture through professional artists, trying to show that graffiti in some cases might be even a mean of urban beautification and regeneration. 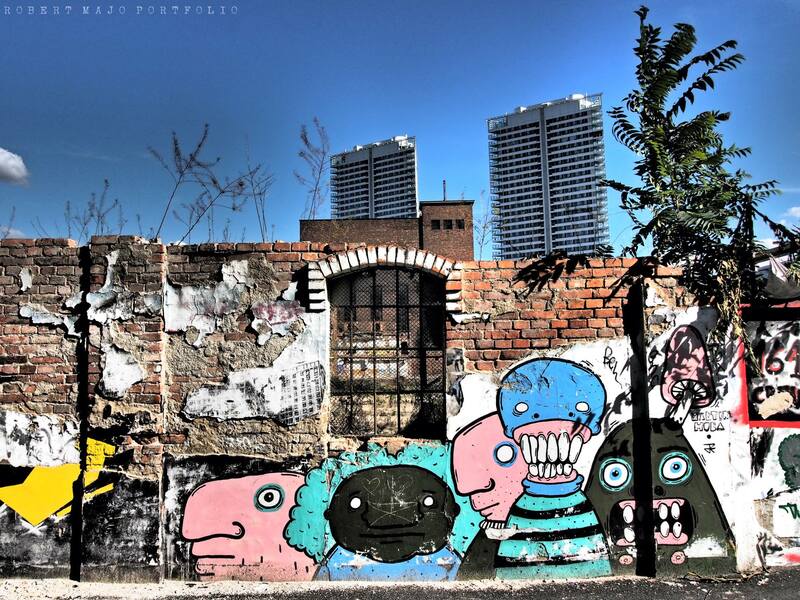 The visitors can always look forward to street art, music and performance. 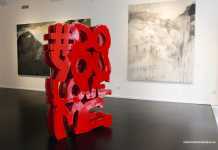 It is the biggest event of its kind during which the facade of the buildings get transformed into a public gallery. 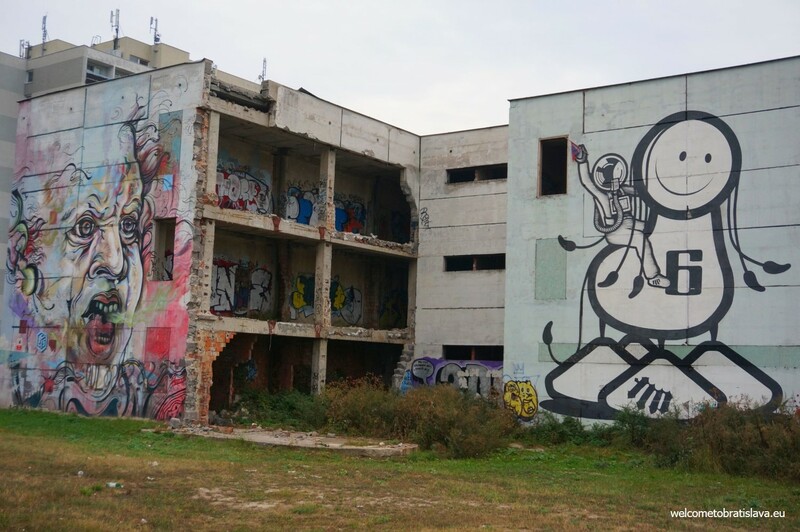 There are many places in Bratislava where you will spot smaller or bigger graffiti, and they are usually abandoned places. In addition to the ones above, here are some of other popular ones. 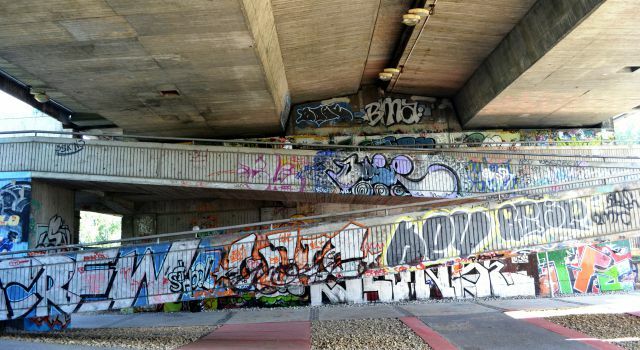 Please note that graffiti disappear from day to day, so it is quite likely that some of the pictured below have already been removed. 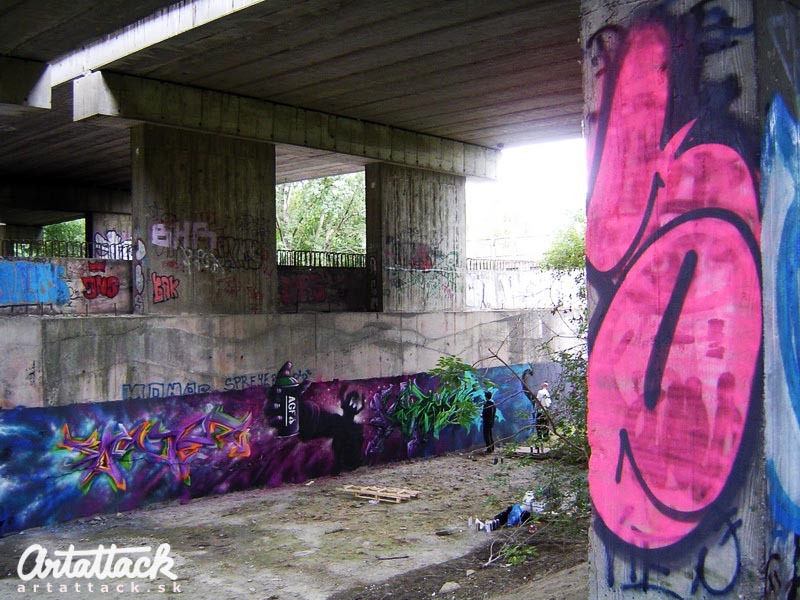 Big thanks to our good friend Joe for the article idea and our amazing Evka who dived into the graffiti topic for us!